Our Railroad Display Room and the work-in-progress Dunsmuir Museum reopened in April; they’re open from 10am-2pm the third Saturday monthly and for town events. 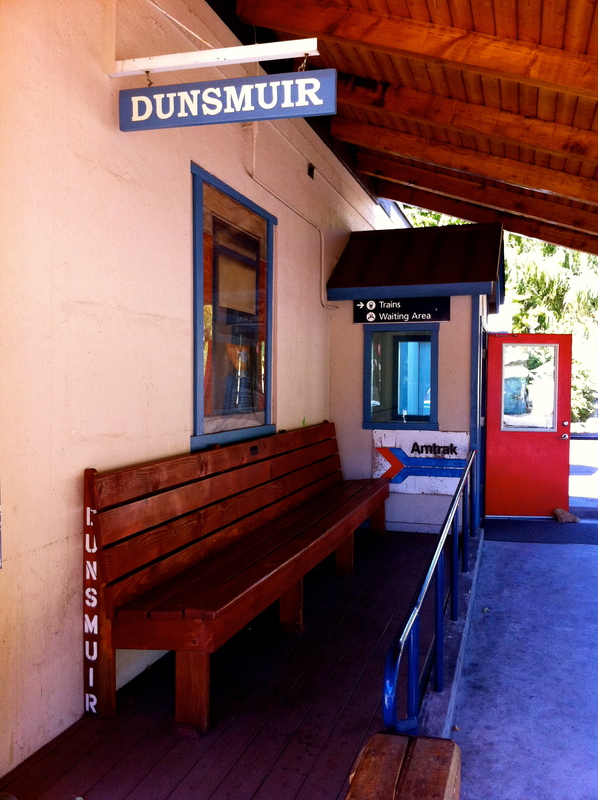 As half of our members reside in Dunsmuir, we hope that you will call to volunteer as a docent. The waiting room drinking fountain is being installed. We are looking forward to another event filled year at the Depot. Shasta Division archives are moved into the back two rooms of the Museum and Jerry Harmon and John Signor are organizing the files for easier access. A scanner will be moved to the space so that the files can be scanned in over time so that there will be digital copies of the archives for preservation purposes. May 11th NATIONAL TRAIN DAY — We will be open from 10am-4pm. AMTRAK paper conductor hats and coloring books free to all children attending. We will be encouraging families to take the train on their next vacation with AMTRAK vacation brochures and guides. May 25th 5th ANNUAL PIE SOCIAL — During Dogwood Daze, last year’s PIE SOCIAL had a record 161 donated pies. 71 pie makers made 44 different pies. Get out your favorite pie recipes and share your pies by volunteering for our biggest fundraiser….. OR…..Just come for PIES, PIES AND MORE PIES! Call Phyllis at (530) 235-0839 to get on our list of great bakers! June 7-9th RAILROAD DAYS — The Railroad Display Room and Dunsmuir Museum will be open. Engineer hats and coloring books will be free for children. July 20th DEPOT TICKET DRAWINGS — AMTRAK has again donated two Coast Starlight tickets. AMTRAK Raffle tickets are $1 each or 6 for $5. We also have separate tickets available for “Aunt Graces’s 30’s quilt” and a “Trout in the River” quilt. Winners need not be present to win; winning tickets drawn at 1:30 pm. Donation proceeds are used for the maintenance and continued improvements to the Depot, the Railroad Display Room, and to re-establish the Dunsmuir Museum. Please send your check made out to the “Depot Committee” along with your name and phone number to PO Box 324, Dunsmuir, CA 96025. October 19th ART WALK — The Railroad Display Room and Museum will be open from 2pm-6pm and will feature local artists. Free refreshments will be offered to visitors. If you received an envelope without a “13” or an “M” on it, your $10 Depot membership and or your $10 Museum membership is due for renewal. Send to PO Box 324, Dunsmuir, CA 96025. All donations are welcome. Once again, thank you for your continued support.